Background/aim: The purpose of the study was to evaluate the performance of the VITEK mass spectrometry (MS) (bioMÃ©rieux, France) system for the identification of Klebsiella spp. isolated from different sources. Moreover, while assessing the ability of the VITEK 2 automated expert system (AES) to recognize antimicrobial resistance patterns, the researchers have extended the study to compare VITEK 2 with the routine antimicrobial susceptibility testing method. Materials and methods: This study tested 51 Klebsiella spp. isolates that were isolated from environmental examples and clinical examples. Results of conventional methods and the matrix-assisted laser desorption/ionization time-of-flight (MALDI-TOF) MS were compared. Then, any differing results were compared against a reference 16S rRNA gene sequence, and when indicated, a recA sequencing analysis was done. Results: VITEK MS correctly identified 100% of the Klebsiella spp. isolates. There were two K. oxytoca isolates incorrectly identified to the species level with conventional methods according to the 16S rRNA gene sequencing analysis. In addition, a VITEK 2 AST-N261 card was used for the detection of extended spectrum beta-lactamases (ESBL). Using the VITEK 2 AES, ESBL positivity was found at the rate of 16.3% whereas this rate was 4.08% using the disk diffusion method. Conclusion: MALDI-TOF MS is a rapid and accurate method for the identification of Klebsiella spp. Moreover, the bioMÃ©rieux AES provides a useful laboratory tool for the interpretation of susceptibility results. Fabri G, Panico M, Dallolio L, Suzzi R, Ciccia M, Sandri F, Farruggia P. Outbreak of ampicillin/piperacillin-resistant Klebsiella pneumoniae in a neonatal intensive care unit (NICU): investigation and control measures. Int J Environ Res Public Health 2013; 10: 808–815. Gastmeier P, Loui A, Stamm-Balderjahn S, Hansen S, Zuschneid I, Sohr D, Behnke M, Obladen M, Vonberg RP, Ruden H. Outbreaks in neonatal intensive care units – they are not like others. Am J Infect Control 2007; 35: 172–176. Casolari C, Pecorari M, Fabio G, Cattani S, Venturelli C, Piccinini L, Tamassia MG, Gennari W, Sabbatini AM, Leporati G et al. A simultaneous outbreak of Serratia marcescens and Klebsiella pneumoniae in a neonatal intensive care unit. J Hosp Infect 2005; 61: 312–320. Berrazeg M, Diene SM, Drissi M, Kempf M, Richet H, Landraud L, Rolain J-M. Biotyping of multidrug-resistant Klebsiella pneumoniae clinical isolates from France and Algeria using MALDI-TOF MS. Plos One 2013; 8: e61428. Kumar A, Chakraborti S, Joshi P, Chakrabarti P, Chakraborty R. A multiple antibiotic and serum resistant oligotrophic strain, Klebsiella pneumoniae MB45 having novel dfrA30, is sensitive to ZnO QDs. Ann Clin Microbiol Antimicrob 2011; 10: 19. Brisse S, Duijkeren E. Identification and antimicrobial susceptibility of 100 Klebsiella animal clinical isolates. Vet Microbiol 2005; 105: 307–312. Struve C, Krogfelt KA. Pathogenic potential of environmental Klebsiella pneumoniae isolates. Environ Microbiol 2004; 6: 584–590. Gupta A, Della-Latta P, Todd B, San Gabriel P, Haas J, Wu F, Rubenstein D, Saiman L. Outbreak of extended-spectrum beta-lactamase-producing Klebsiella pneumoniae in a neonatal intensive care unit linked to artificial nails. Infect Control Hosp Epidemiol 2004; 25: 210–215. Pessoa-Silva CL, Meurer Moreira B, Câmara Almeida V, Flannery B, Almeida Lins MC, Mello Sampaio, JL, Martins Teixeira L, Vaz Miranda LE, Riley LW, Gerberding JL. Extended-spectrum beta-lactamase-producing Klebsiella pneumoniae in a neonatal intensive care unit: risk factors for infection and colonization. J Hosp Infect 2003; 53: 198–206. Wang YR, Qian C, Hui CS, Qin LF. Characterization of Staphylococcus aureus isolated from clinical specimens by matrix assisted laser desorption/ionization time-of-flight mass spectrometry. Biomed Environ Sci 2013; 26: 430–436. Turner PJ. Extended-spectrum beta-lactamases, Clin Infect Dis 2005; 41: S273–S275. Çetinkaya E, Ayhan K. Molecular technics used in microbiology. Karaelmas Sci Eng J 2012; 2: 53–62 (article in Turkish). Yılmaz E, Uraz G. Detection of extended spectrum beta lactamase in Klebsiella pneumoniae and Klebsiella oxytoca bacteria with combined disk method. Sakarya University Sci J 2011; 15:1 41–45 (article in Turkish). Akçam FZ, Gönen I, Kaya O, Yaylı G. Investigating sensitivity to beta-lactam antibiotics and ESBL frequency in hospital infection factor enterobacteria. Klimik J 2004; 17: 47–49. Sanders CC, Peyret M, Moland ES, Cavalieri SJ, Shubert C, Thomson KS, Boeufgras JM, Sanders WE Jr. Potential impact of the VITEK 2 system and the advanced expert system on the clinical laboratory of a university-based hospital. J Clin Microbiol 2001; 39: 2379–2385. Valenza G, Müller S, Schmitt C, Turnwald D, Lam TT, Frosch M, Abele-Horn M, Pfeifer Y. Evaluation of the VITEK 2 AST-N111 card for detection of extended-spectrum beta- lactamases (ESBLs) in Escherichia coli, Klebsiella pneumoniae, and Klebsiella oxytoca compared to ESBL Etest and combination disc methods. Eur J Clin Microbiol Infect Dis 2011; 30: 869– 872. VITEK MS User Manual. France: bioMérieux; 2011. Cesarini S, Bevivino A, Tabacchioni S, Chiarini L, Dalmastri C. RecA gene sequence and multilocus sequence typing for species-level resolution of Burkholderia cepecia complex isolates. Lett Appl Microbiol 2009; 49: 580–588. Clinical and Laboratory Standards Institute (CLSI). Performance Standards for Antimicrobial Susceptibility Testing, 21st Informational Supplement M100-S20. Wayne, PA, USA: CLSI; 2010. Yssouf A, Socolovschi C, Flaudrops C, Ndiath MO, Sogoufara S, Dehecq J-S, Lacour G, Berenger J-M, Sokhna S, Raoult D et al. Matrix-assisted laser desorption ionization – time of flight mass spectrometry: an emerging tool for the rapid identification of mosquito vectors. Plos One 2013, 8: e72380. Manji R, Bythrow M, Branda JA, Burnham C-AD, Ferraro MJ, Garner OB, Jenneman R, Lewinski MA, Mochon AB, Procop GW et al. Multi-center evaluation of the VITEK MS system for mass spectrometric identification of non-Enterobacteriaceae gram-negative bacilli. Eur J Clin Microbiol Infect Dis 2014; 33: 337–346. Richter SS, Sercia L, Branda JA, Burnham CAD, Bythrow M, Ferrano MJ, Garner OB, Ginocchio CC, Jenneman R, Lewinski MA et al. Identification of Enterobacteriaceae by matrix-assisted laser desorption/ionization time-of-flight mass spectrometry using the VITEK MS system. Eur J Clin Microbiol Infect Dis 2013; 32: 1571–1578. Saffert RT, Cunningham SA, Ihde SM, Jobe KE, Mandrekar J, Patel R. Comparison of Bruker Biotyper matrix-assisted laser desorption ionization time of flight mass spectrometer to BD Phoenix automated microbiology system for identification of gram-negative bacilli. J Clin Microbiol 2011; 49: 887–892. Barry J, Brown A, Ensor V, Lakhani U, Petts D, Warren C, Winstanley T. Comparative evaluation of the VITEK 2 advanced expert system (AES) in five UK hospitals. J Antimicrob Chemother 2003; 51: 1191–1202. Cantón R, Pérez-Vázquez M, Oliver A, Coque TM, Loza E, Ponz F, Baquero F. Validation of the VITEK2 and the advanced expert system with a collection of Enterobacteriaceae harbouring extended spectrum or inhibitor resistant beta- lactamases. Diagn Microbiol Infect Dis 2001; 41: 65–70. Leclercq R, Nicolas-Chanoine MH, Nordmann P, Philippon A, Marchais P, Buu-Ho A, Chardon H, Dabernat H, Doucet- Populaine F, Grasmick C et al. Multicentre evaluation of an automated system using selected bacteria that harbour challenging and clinically relevant mechanisms of resistance to antibiotics. Eur J Clin Microbiol Infect Dis 2001; 20: 626–635. Nyberg SD, Muerman O, Jalava J, Rantakoko-Jalava K. Evaluation of detection of extended-spectrum beta lactamases among Escherichia coli and Klebsiella spp. isolates by VITEK 2 AST-N029 compared to the agar dilution and disk diffusion methods. Scand J Infect Dis 2008; 40: 355–362. Sorlozano A, Gutierrez J, Piedrola G, Soto MJ. Acceptable performance of VITEK 2 system to detect extended spectrum beta-lactamases in clinical isolates of Escherichia coli: a comparative study of phenotypic commercial methods and NCCLS guidelines. Diagn Microbiol Infect Dis 2005; 51:191– 193. Livermore DM, Struelens M, Amorim J, Baquero F, Bille J, Canton R, Henning S, Gatermann S, Marchese A, Mittermayer H et al. Multicentre evaluation of the VITEK 2 advanced expert system for interpretive reading of antimicrobial resistance tests. J Antimicrob Chemother 2002; 49: 289–300. Blondel-Hill E, Hetchler C, Andrews D, Lapointe L. Evaluation of VITEK 2 for analysis of Enterobacteriaceae using the advanced expert system (AES) versus interpretive susceptibility guidelines used at Dynacare Kapser Medical Laboratories, Edmonton, Alberta. Clin Microbiol Infect 2003; 9: 1091–1103. Numanovic F, Hukic M, Delibegovic Z, Tihic N, Pasic S, Gegic M. Comparison of double disk synergy test, VITEK 2 and Check-MDR CT 102 for detection of ESBL producing isolates. Acta Media Academica 2013; 42: 15–24. ISNAD KARAGÖZ, ALPER , ACAR, SÜMEYRA , KÖRKOCA, HANİFİ . "Characterization of Klebsiella isolates by matrix-assisted laser desorption/ionization time-of-flight mass spectrometry (MALDI-TOF MS) and determination of antimicrobial resistance with VITEK 2 advanced expert system (AES)". 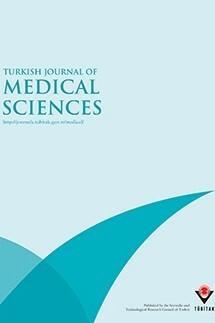 Turkish Journal of Medical Sciences 45 / 6 (December 2015): 1335-1344.